The Thai-American exchange program that has been bringing students to the Lakeshore area since 2010. 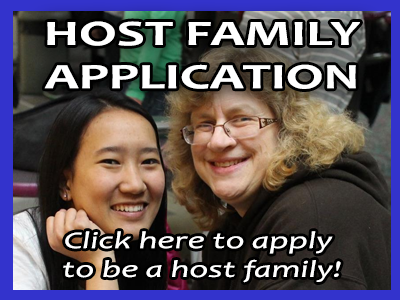 We are currently seeking host families for our Spring 2018 trip. The students will arrive in America on March 26rd and stay in Manitowoc for a week-long orientation camp. Then they will go to their host families on March 29th and stay with their hosts for the month of April (hosting ends on April 30th). The students are ages 10 to 17 years old and all students are pre-screened for English ability and maturity. Myself and a Thai chaperon will also travel with the group and stay in the area to assist families with any problems. The students will attend school with their host sibling or a school-assigned “buddy”. We have a network of over 30 schools in Manitowoc, Brown, Calumet and Sheboygan counties, so if you know someone in the area who might be interested in hosting, please let them know about our program. We have 7 kids coming on this trip (our 9th trip since 2010), and we still have a few students to assign to hosts, so apply now before they are all placed! Our month-long program is a great way to see if hosting is right for your family before committing to a longer exchange. The purpose of this exchange program is to provide a safe and meaningful educational experience for both Thai students and their American hosts and classmates. The Thai students will have an opportunity to improve their English-speaking skills by living with and going to school with Americans. The American students will have an opportunity to expand and broaden their outlook on the world. It is hoped that new and long-lasting friendships will develop out of this program and that the students and their families will stay in touch long after the program is completed. • You must provide appropriate sleeping arrangements. • All meals must be provided and paid for by the host family. • Hosts receive a stipend of $250 to help cover their expenses. • Host families are NOT required to do anything “special”. • Internet access must be arranged so the students can blog. • All students will have documents from the Thai government permitting them to travel and a letter from their parents designating George & Panida Carroll and their hosts as guardians while in America. • An English-speaking Thai assistant will be traveling with the group as well. In case of emergency, she can be contacted to assist school or healthcare officials with translation. • Host parents will be given medical waivers from the Thai parents that will allow the host parent to act in their place in case of emergency (for example a visit to the hospital). • Smoking & alcohol/drug use are not allowed. Students are required to respect the reasonable house-rules of their host family and follow all the rules and policies of their school. All students, regardless of age, are required to respect curfews set by their hosts. • All students are required to sign a code of conduct. Any student who seriously violates this code will be sent home immediately, at their Thai parents’ expense. This decision is at the trip chaperons’ sole discretion. • All students participating in the program are vaccinated. • Vaccination records and guardianship documents will be given to host families & copies will be given to the schools. • Health Insurance is required and all Thai students will be insured for the duration of the trip. • It does not cover dental fees or eyeglasses, but it will cover medical fees (up to $100,000) and daily hospital room/board (up to $2000). Coverage provided by LMG-Pacific Insurance. • Host families will make the necessary arrangements to transport the guest student to and from school each day. • All planned activities such as camping & out-of-state trips must be approved by T. George first. • School lunch should be arranged by the host family prior to the Thai student’s arrival. Some schools are able to add the Thai students to their meal plans, other schools require the host family to pick up the expense. 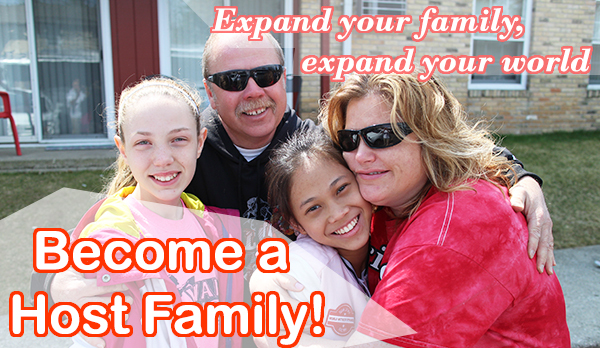 • Host families will provide all meals while the guest student is staying at their home. This includes meals at restaurants and other family activities. • Students can use their own money to purchase snacks (at the discretion of their host parent), but they should not purchase their own meals. • Students can talk with their parents via various online networking tools, but the blog should be the primary method so chaperons can spot developing problems and assist the families & students. • While reasonable restrictions on phone/internet usage are expected, students must be allowed to contact their family as needed. However, excessive time on the phone/internet may be a sign of homesickness and should be addressed as such (consult chaperons if this occurs). • We recommend “kitchen table computing” in public areas of the home (rather than bedrooms) as a way for hosts to monitor and control internet usage. • You must provide appropriate sleeping arrangements. (Their own room or a shared room with a same-gender/similar-aged host sibling). 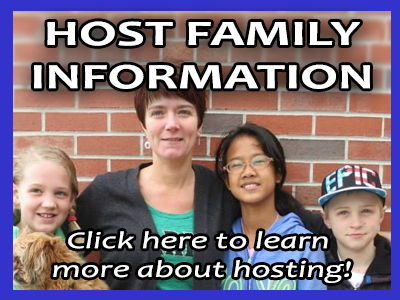 • Host families are NOT required to do anything out of the ordinary (trips, gifts, tutoring, food, etc…). The Thai students should experience a normal American lifestyle, and should be treated as one of the family. They are expected to adapt to the routine of your home. • Most “problems” are actually a valued part of this trip. Culture shock can be a key motivator for improving skills & confidence. So hosts & teachers should encourage their guest to persevere. • The primary concern of the chaperons is student safety. “Happiness” is not a responsibility of chaperons or hosts. Some students may struggle to adapt and so teachers & parents must have realistic expectations about these things. • For minor problems host parents can consult with the trip chaperons for advice. In these cases, removal from the hosts’ home should be considered a last resort only after all other options have been exhausted. • However, in more serious cases, if the chaperons deem the situation unsafe for their student, then we reserve the right to immediately remove that child at any time we wish.